Western policy makers admit that NATO's operations in Libya have played the primary role in emboldening Al Qaeda's AQIM faction (Al Qaeda in the Islamic Maghreb). The Fortune 500-funded Brookings Institution's Bruce Riedel in his article, "The New Al Qaeda Menace," admits that AQIM is now heavily armed thanks to NATO's intervention in Libya, and that AQIM's base in Mali, North Africa, serves as a staging ground for terrorist activities across the region. Despite this, military intervention in Libya was pursued by the West and condoned by the UN with full knowledge that the militants leading so-called "pro-democracy uprisings" were in fact merely the continuation of decades of violent terrorism carried out by Al Qaeda affiliates. The West had full knowledge of this, primarily because it was Western intelligence agencies arming and supporting these militants for the last 30 years, in Libya's case, while coddling their leaders in Washington and London. What unfolded was a premeditated lie ~ where placard waving "activists" overnight turned into battle-hardened heavily armed, tank driving, jet flying militants waging a nationwide battle against Libyan leader, Muammar Qaddafi. In reality, it was the fruition of 30 years of covert support the West has poured into militant groups across the region ~ support that would not end with the fall of Qaddafi. 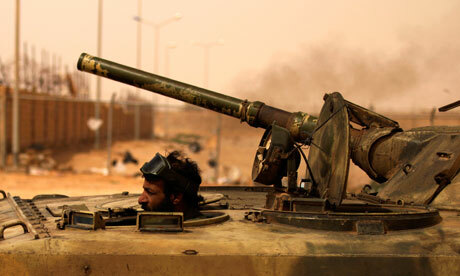 Image: Libyan terrorist manning a tank during NATO's 2011 overthrow of the Libyan government. The media expects the public to believe placard waving peaceful demonstrators had somehow, in just days, transitioned into tank driving, jet flying rebel forces ~ just like in Hollywood. 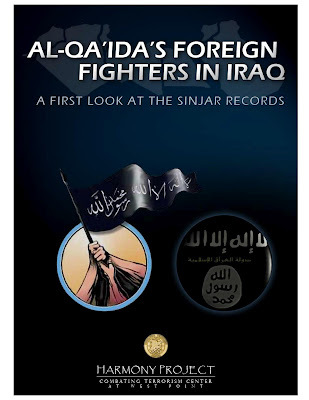 LIFG terrorists promptly turned both east to Syria and west to Mali beyond their borders ~ a logistical matter they had perfected during their operations in Iraq and Afghanistan over the past decade. LIFG commander Abdul Hakim Belhaj, as early as November 2011, arrived on the Turkish-Syrian border to provide cash, weapons, and LIFG terrorist fighters, overseen by Western intelligence along with US funding and arms laundered through Gulf Cooperative Council (GCC) members such as Qatar and Saudi Arabia. 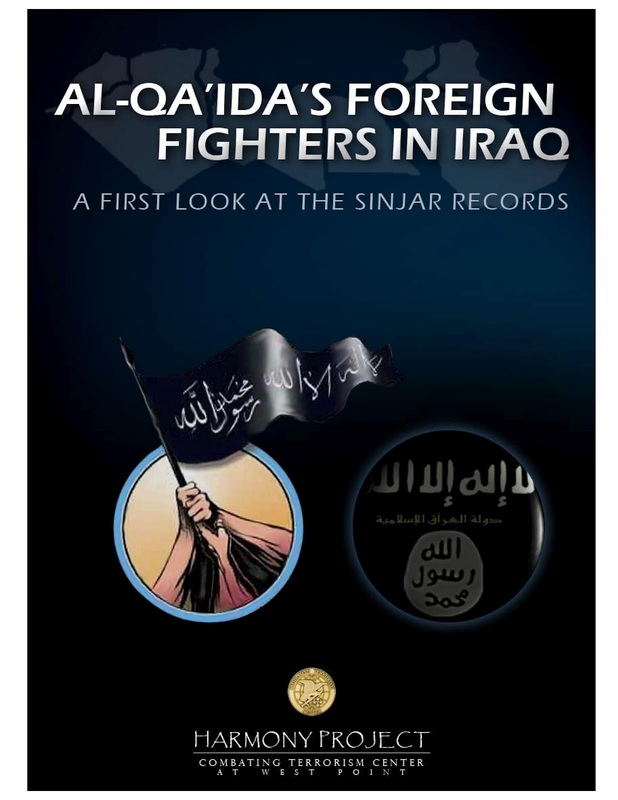 Since then Libyan militants have been confirmed to be leading entire brigades of foreign fighters inside Syria. And as Bruce Riedel of Brookings concedes, these weapons went west to Mali as well. Algeria had feared just such a scenario unfolding with NATO's intervention in Libya ~ a fear now fully realized. Ironically, Riedel, in August 2011, had tried to make a case for Algeria being "next to fall" in an article titled literally, "Algeria Will Be Next to Fall." 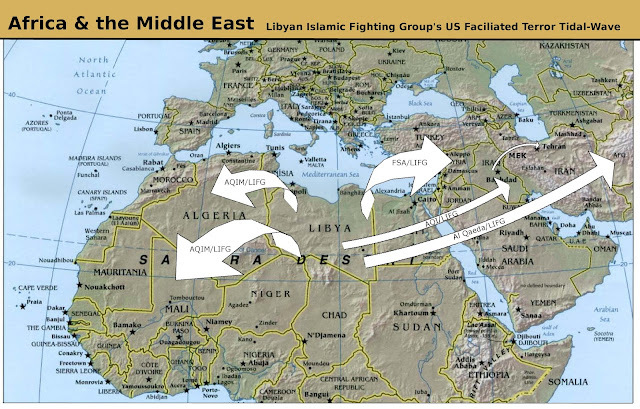 A year ago, Riedel attempted to argue that it would be the so-called "Arab Spring" that would spread into Algeria after having taken root in neighboring Libya. He had eluded to, and it has now become abundantly clear, that by ”Arab Spring," Riedel meant, US-backed subversion, and more specifically NATO-armed Al Qaeda-brand militancy and terrorism. With the US now openly arming, supporting, and literally "cheering" Al Qaeda in Syria, it is clear that the "War on Terror" is an unprecedented geopolitical fraud perpetuated at the cost of millions of lives destroyed and an incalculable social and economic toll. NATO, with full knowledge of the consequences is literally carving out of North Africa and the Middle East, the so-called "Caliphate" Western leaders had held over their impressionable people's heads as the impetus to perpetually wage global war. Torn from the pages of Orwell's 1984, an artificial war has been created to carry forward corporate-financier machinations both abroad and domestically. The so-called threat to Western civilization is in fact a foreign legion of Western corporate-financier interests, executing Wall Street and London's foreign policy on a global scale where and in a manner traditional Western forces cannot. Our support of both the political gambits of our politicians, as well as our daily patronage of the corporate-financier interests driving this agenda have already reaped an unprecedented and still growing regional safe haven for terrorists ~ and as moderate secular governments continue to be undermined and toppled, we can only imagine the blowback, retaliation, and other consequences as this destructive foreign policy unfolds. To imagine that such meddling will not end up being visited back upon us, even if in the form of a false flag attack dwarfing 9/11, would be folly. ever notice the semantic details or irony of word play by the mockers scoffers and blasphemers...? *and the long grey line...are there transgender appreciation parties for the plebes of the limp wrist battalion, Vivian ? ? With the ZOGUS now openly arming, supporting, and literally "cheering" both Ben & Al Quida in Syria, it is clear that the WAR ON COMMON SENSE ...AKA "War on Terror" is an unprecedented JEWISH CONTRIVED...geopolitical fraud perpetuated at the cost of millions of BRAINDEADGOY..NONJEWISH lives destroyed and an incalculable social and economic toll. **** - global war *****. didja see the Rabbi invocate @ the Rethugligoon Convention of Zionazi psychophants..? ...but deliver us from evil. Amen.